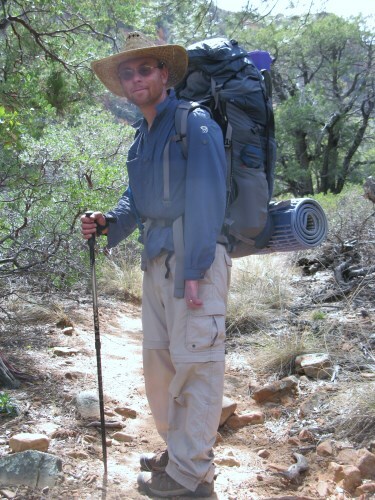 I have been a serious backpacker since 2002. I enjoy lightweight camping. I use several different kinds of stoves. Nowadays I prefer using water filters to chemical treatments. I have camped under a tarp, but have also spent several sleep-deprived nights buzz-bombed by rodents. I hike and camp in the deserts and the mountains. Although I have spent up to 7 months backpacking, I usually only get out for 3 to 5 days. I have very limited use of my left arm. The strategic placement of these fabrics works. The Nylon oxford in the bottommost panel barely shows a scratch. The Lycra is a bit snug for my tastes but seems to become more pliable with increased use. The website provides excellent information regarding the pack, such as a downloadable 2 page manual with illustrations of 17 features and uses. A salesperson at the retailer where I purchased this pack did a good job of helping me choose and adjust this pack to the limited use I have from my left shoulder and arm. This pack is loaded with features. I was surprised to discover some of the features as I studied the pack, the manual and website for this review. Features I had not discovered while reading the material which came with the pack. One of the most surprising features was the sternum strap clip which doubles as a whistle. The whistle is easy to use. It is loud, but I own other safety whistles which are louder. The sternum strap clip / whistle combination is a good example of making one item serve two purposes. The hydration pocket holds my three liter reservoir. There are exit points for the drink tube to the left and the right of the pack. The exit ports are below the top point of the aluminum stay rod and the spindrift collar. I usually stuff the hydration reservoir into the pack after I've stuffed the first sleeping bag in. I use my foot to squeeze in a second sleeping bag (for my wife who is wearing the baby carrier backpack) while grabbing the spindrift collar. I worry a little that the hydration reservoir might pop or the pack's seams might give way, but neither has happened so far. I enjoy using the closure on the spindrift collar and the internal compression strap. The spindrift collar is easy to close using just one hand and my teeth. The spindrift closure is also very easy to uncinch with one hand. Likewise, the internal compression strap is easy to use. This strap runs from behind the top loop of the stay to the center front of the pack. This strap pulls stuff back into the main packbag and leaves some room in the spindrift collar for more items. The top loop of the stay rod pushes away from the wearer's back into the pack. The odd shape appears to reduce available space compared to a pack with a completely circular opening. It has taken some getting used to as I squeeze the last items in, because I am used to circular mouth pack bags without stay interference. However, I am pleased with the stay's performance, as it provides rigidity throughout the pack, which helps to balance the load onto my hips and back. There are dual water bottle pockets above the hipbelt, located on the left and right side of the pack. These pockets are made of Lycra spandex material. There is a top entry point for major items such as water bottles and there is a smaller entry point facing the user where the wearer might stash and retrieve a granola bar, small camera or similar sized item. The pockets are a tight fit compared to the loose mesh pockets on other packs. When the pack is stuffed full, it can be difficult for me to slip my water bottle into the pocket using just one hand. Perhaps a little more material could be used in the main body of this pocket or maybe it works just fine for the two-handed user. Nonetheless, I use the hydration system primarily and the spandex seems to become more pliable over time. The front stretch pocket is also made of snug fitting spandex which has taken some time to get used to. Compression straps cross over the front pocket from left to right. 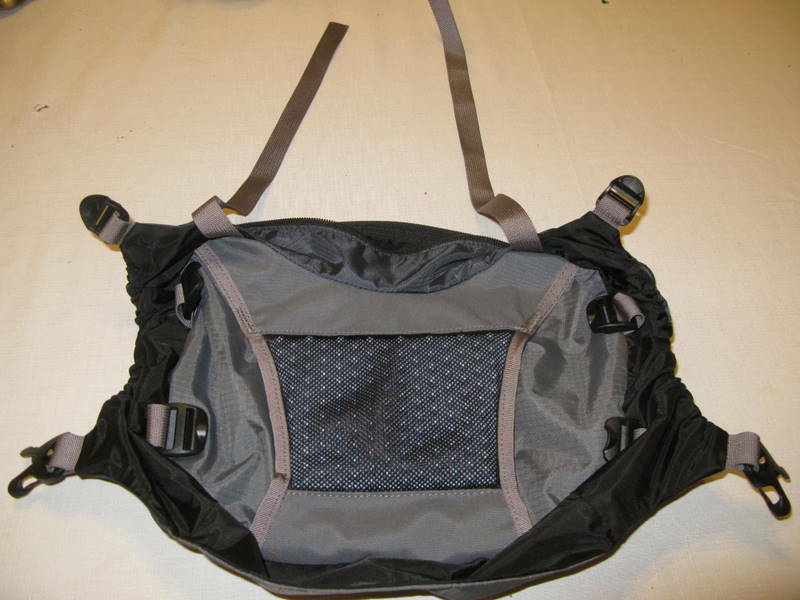 Depending on the amount of stuff packed into the bag, the straps may clip into points on the right side of the front pocket or into the straight jacket compression points located near the back panel as indicated in the photo. The straight jacket clip points are used when very small loads are carried in the pack to help maintain rigidity through the pack. I have used the straps to attach additional items such as tent poles or an extra sleeping pad. The combination of a snug front pocket with compression straps works excellently. The main sleeping pad straps are located at the base of the pack. They are tight when used with a ridge rest deluxe and have created lasting creases / strap lines in the pad. The sternum strap is also a little tight. An email to the manufacturer revealed that an extender is available from their 800 number for $5, but I have not followed through and placed the order. This is the first pack I have used with a sleeping bag compartment separator. The separator, a fabric shelf, is anchored with a solid seam on the inside back of the pack and two strapped anchor points which connect to the inside front of the pack. It is easy to stuff my sleeping bag in. I have a silnylon sleeping bag stuff sack which is slightly larger than the manufacturer's stuff sack; the separate compartment can help manage the extra bulk of the loosely stuffed sleeping bag. Therefore the compartment might be too large for a tightly stuffed sleeping bag or one smaller then my sleeping bag. The straps are easy to re-thread even with the sleeping bag in place. I have used the pack with and without the sleeping bag separator. On a solo trip I didn't use it at all, however the separator is not completely removable. If I were hiking for several months on end, the separator might be trimmed off completely. The top pocket has performed well and is easy to use. Unlike top pockets on other packs I have used, which have four clip points, this one has two clip points and two points which are anchored by a system of loops and buckles (ladder locks). This system is more complex than four clips, but it is easy to use. However, I do not grasp the reason for the increased complexity. The top pocket has a clip to anchor keys, but it does not have a zippered coin pocket. The top pocket can be used together with the removable hipbelt as a fanny pack, but I have not been brave enough to disassemble the hipbelt to test this feature. The hipbelt seems a little large for use as a lumber pack support. The hipbelt fastens onto the pack through a belt loop on the underside of the top pocket. The belt loop has foam padding which faces the wearer, as shown in the photo "Underside of Top Pocket". If I were hiking for several months on end, this extra foam would likely be trimmed off. The hipbelt and harness are both made of "Iso Form" material. The material in the hipbelt is customizable in ovens located at Osprey authorized retailers. Osprey makes a selling point of the form fitting hipbelt. The salesperson (from a major retailer) did not use an oven to customize the belt to my hips, saying that it would customize over time. I have not necessarily noticed it conforming to my body, but it is a nice fit so far. The Airscape suspension is the best ventilation system I have ever used. So far it has provided good ventilation at temperatures in the 80s and 90s F (20s and 30s C). The suspension, stays and aluminum frame sheet provide excellent stabilization, load control and comfort. The compression system components work well. I have not had the opportunity to really test the minimalization provided by the straight jacket compression system, nor have I had the opportunity to use the ski loops. 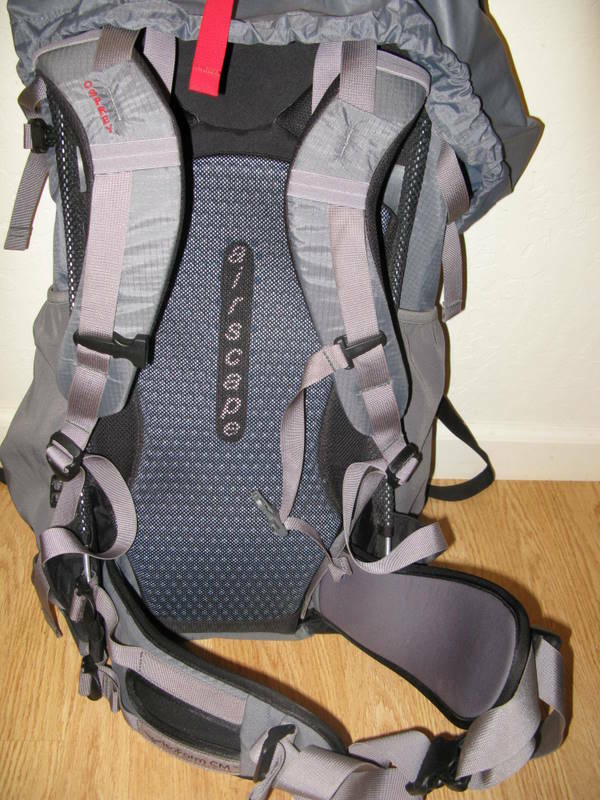 I have used this pack on three different backpack adventures throughout Northern Arizona. The first was a 3 day trip down to the Grand Canyon's Bright Angel Campground near Phantom Ranch. On that trip I carried a load of about 40 lbs (18 kg). The second was a 4 day trip into Sedona's Red Rock/Secret Mountain Wilderness with a load weighing over 50 lbs (22.7 kg). The final trip was a 3 day hike into the Blue Range Primitive Area with a pack weight of 50 lbs (22.7 kg) where I covered about 25 miles (40 km) on trails in mostly good condition but with significant changes in elevation. I purchased this pack to carry more than my usual target weight of 30 lbs (14kg). 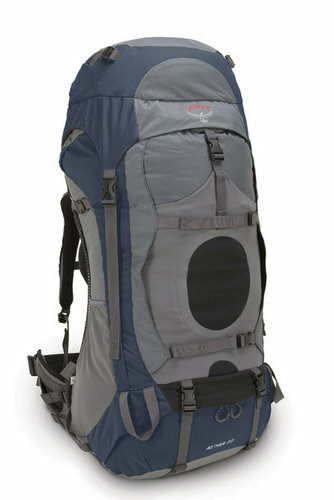 According to the Osprey website, the maximum comfortable carrying weight ranges between 50 and 65 lb (22.7 and 29.5 kg). Since my wife is usually carrying our baby in a baby pack when we hike together, I have to carry much of her gear in my pack. Now I'm carrying two sleeping bags in addition to the three person tent, most of the food and cooking supplies. The Aether 70 has performed well on these trips. This is a feature laden pack which might receive a little customization if I were hiking for a month or more. This comfortable pack proved to me that I can now carry a packload greater than 30 lbs (14kg) on a regular basis. The online documentation was more thorough than the documentation which came with the pack. This is my favorite pack and replaces a pack that is still in good condition. Overall fit, feel and function of the pack. 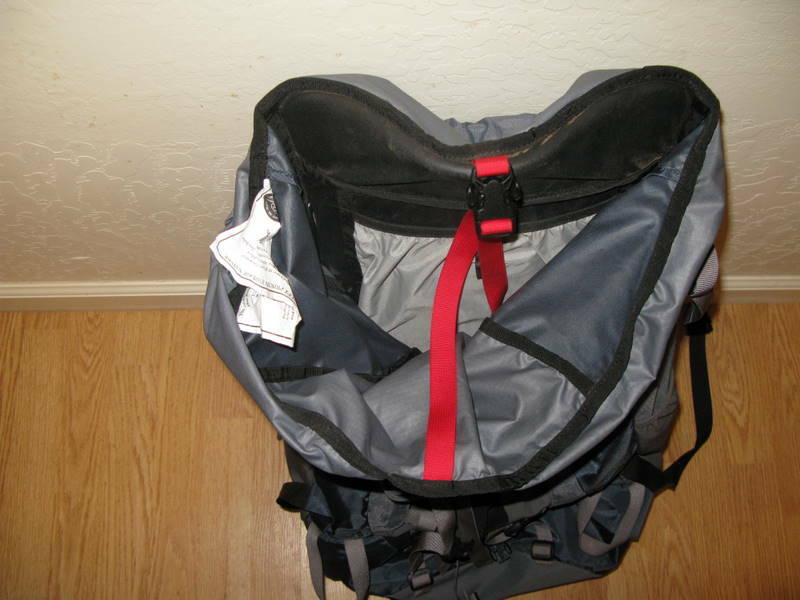 Top pocket which converts into a lumbar pack is not worth the weight of the foam and other hardware.